The index opened huge gap-up around 8740 and stayed positive throughout the entire session of trade to close near the higher end at 8776.00, huge gain of 76.05 points. The broader market was also strong, with 923 advances to 569 declines. Developing Range as per Option Table stays at 8400-9000. Call option 8800, 9200 added 4.13 lacs OI with short covering seen at 8700 and below strike prices. Put option 8900-8600, 8300 added huge 11.78 lacs OI with profit booking seen at 8500 and below strike prices. 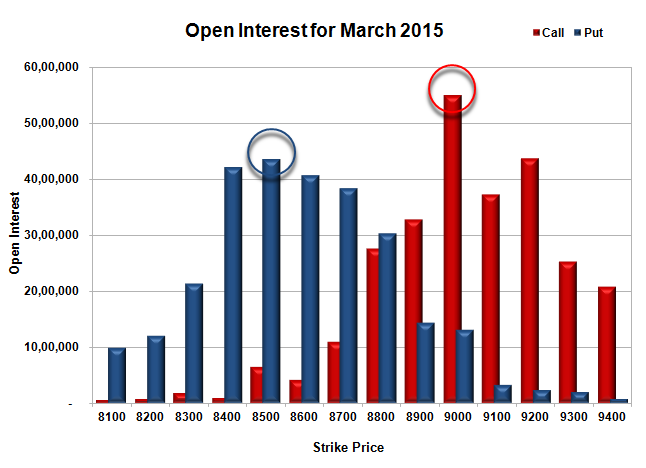 Nifty Open Interest is at 2,49,97,800 up by 88,100, with increase in price, most probably long build-up. 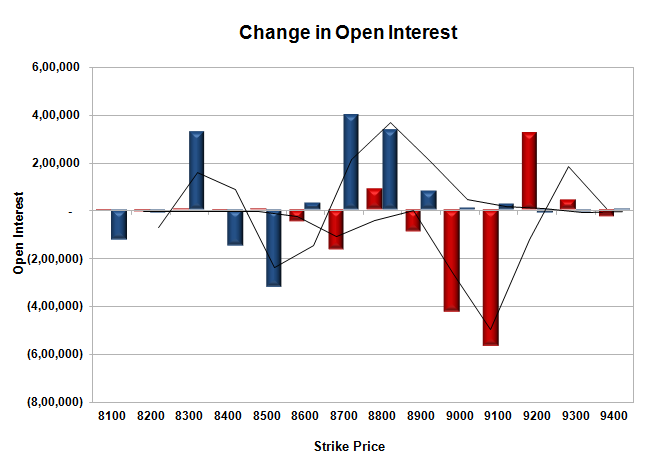 Bank Nifty Open Interest is at 22,32,450 down by 63,275, with increase in price, most probably short covering. FII’s bought 1.44 lacs Futures, which includes 471 contracts long build-up and 5273 contracts short covering, with decrease in net OI by 4802 contracts (includes 55182 longs to 49438 shorts for the day) and the Average Price comes to 8882.96. FII’s Index future open contract as on date is 797065 Longs to 115352 Shorts, net long 681713 up by 5744 contracts. Initial support getting better at 8700, with OI of 38.41 lacs and below that at 8600 with huge OI of 40.63 lacs. Initial resistance still at 8900, with huge OI of 32.73 lacs and above that at 9000 with highest OI of 55.07 lacs. 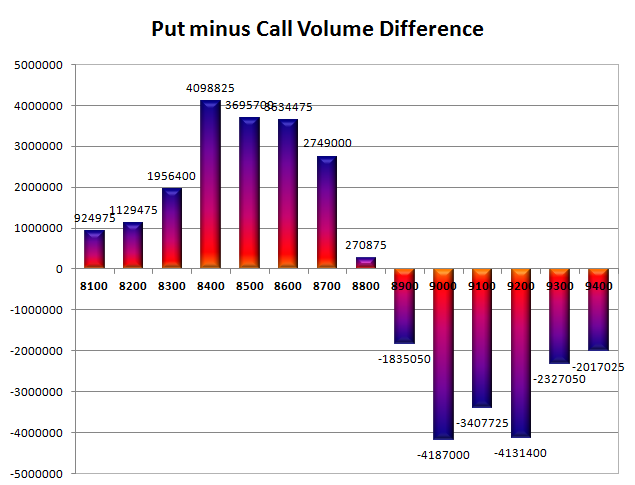 Day Range as per Option Table is 8683 - 8856 and as per VIX is 8708 - 8844 with 8762 as the Pivot.